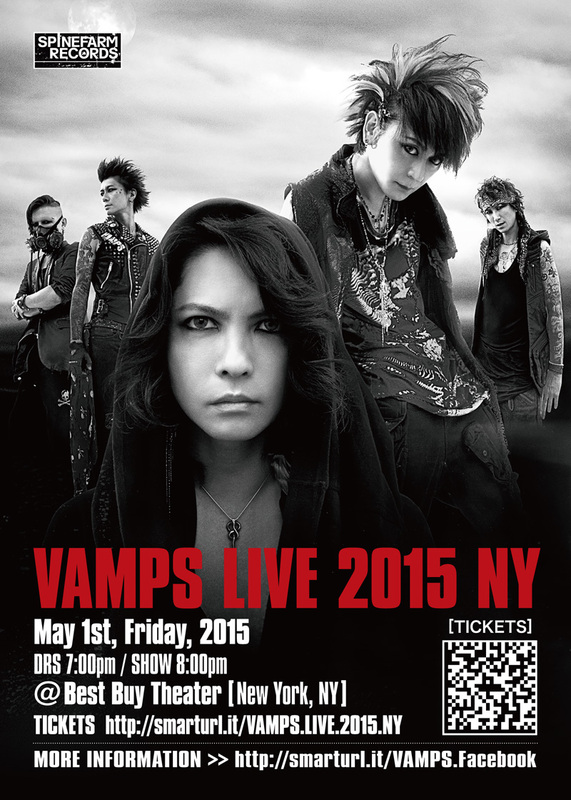 INTERVIEW: VAMPS — Before Their U.S. Tour | VKH Press – J-Rock & Visual Kei Coverage Worldwide! VKH: You have several events coming up in the U.S. Since your tour with SIXX:AM is your first major U.S. tour, and is your first time touring with an American band, what kind of experience are you hoping for? HYDE: To be able to go on tour with artists we admire is such an honor. Plus this is our chance—I wanna get out there and capture as many hearts as I can. K.A.Z: We’ll be on a month-long tour travelling from West Coast to East Coast! It’s a first for us so I’m really looking forward to this. It’s an honor to be able to tour with SIXX:A.M.
VKH: After that, you have performances in Florida for Fort Rock Festival, and in Ohio for Rock on the Range. What do you expect to at these festivals? HYDE: The right mindset—not getting eclipsed by the monster bands who’ll be playing there. K.A.Z: I haven’t really thought that far ahead yet, but for now, I want for us to make the tour with SIXX:A.M. a success. Then we can draw on that experience for when we play at Fort Rock. VKH: What kind of future do you see for VAMPS for the international audience? What else do you believe you could do to grow your (already impressive) fan base overseas? HYDE: Up until now we haven't been able to do what we do in Japan in terms of linking our promo work, live shows and new releases. To that end, we’ll be starting with the basics, really. K.A.Z: We want to expand our activities onto the global scene but without forcing it. I want to create more opportunities for fans to enjoy seeing VAMPS live without there even being this feeling like, us playing outside Japan is something out of the ordinary anymore, you know? VKH: You have a one-man show at Best Buy Theater in New York City. What makes you want to return to New York? HYDE: That was just because, tour schedule–wise, SIXX:A.M. couldn’t make our New York one. K.A.Z: New York is a place that the world looks to for information. We want them to feel the enthusiasm and the passion that we’ve put into VAMPS’ activities outside Japan, too. 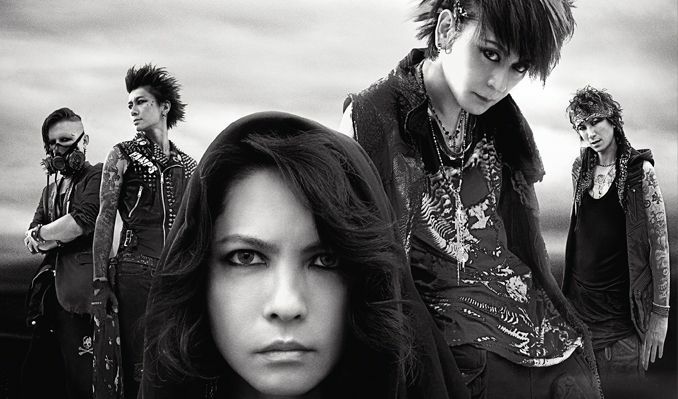 VKH: VAMPS seems to be more active in the American music scene these days, namely in collaborations with bands for performances. Why is that? Was this always a goal? HYDE: Our goal is to sink our teeth into your heart. K.A.Z: It’s not just America. I want fans to know that we’re hoping to expand our tours to Europe and Asia as well. VKH: BLOODSUCKERS will be released internationally. Which song are you looking forward to performing the most? VKH: Thank you for answering our questions! Would you mind sending a message to the fans? HYDE: We’re looking forward to finally being able to release stuff and perform shows in the States. Get your hearts out and ready!! K.A.Z: Thanks for supporting us. We’ll be doing more internationally to spread our music as VAMPS, so we hope that you’ll continue to support what we do. Special Thanks to VAMPS for answering our questions and to Universal Music Japan and RESONANCE Media for making this interview possible!